Sweating and odor are an issue that everyone deals with but thanks to deodorants and antiperspirants, most of us can keep this problem under control. While many people apply their products without a second thought, few think about how deodorants interact with their skin. Learn the link between antiperspirants and your skin and how these products protect against odor and wetness from Joel Schlessinger MD. Deodorants work by combating bacteria while antiperspirants control wetness, explains Joel Schlessinger MD. While sweat is naturally odorless, the scent of body odor is caused by bacteria on the skin surface that interact with sweat. Deodorants contain antibacterial ingredients that reduce bacteria and eliminate odor but are not as effective against wetness. If odor is your main concern, choose a product such as Dr.Hauschka Deodorant Fresh with masking ingredients. Antiperspirants work by clogging sweat glands with ingredients such as aluminum compounds. This prevents sweat and moisture as well as embarrassing sweat stains. Hydrosal Professional Deodorant/Antiperspirant controls excessive sweating with 15% aluminum chloride. You can apply this product anywhere on the body where you experience excessive sweating. There is some research that suggests deodorants and antiperspirants may actually make odor worse because bacteria becomes resistant. Studies such as this may encourage some individuals to skip deodorant altogether. Joel Schlessinger MD, however, views this research somewhat skeptically. Joel Schlessinger MD says that the skin on your underarms can be just as sensitive as anywhere else on your body. Products with aluminum, especially at high concentrations, can irritate sensitive skin types. If you have sensitive skin, choose an aluminum-free formula such as Dermalogica Environmental Control Deodorant that will not cause irritation. Many antiperspirant products can also contain ingredients such as alcohol that effectively dry out the skin but also cause irritation. NUXE Men 24 Hour Protection Deodorant is free of aluminum salts and alcohol to prevent redness, inflammation and itching. Questions for Joel Schlessinger MD? Let him know below in the comments section. Most people don’t think twice about their skin care routine. Cleanse twice a day and exfoliate twice a week. But even if you’re diligent about taking care of your skin, there are small mistakes that could undo all your hard work. 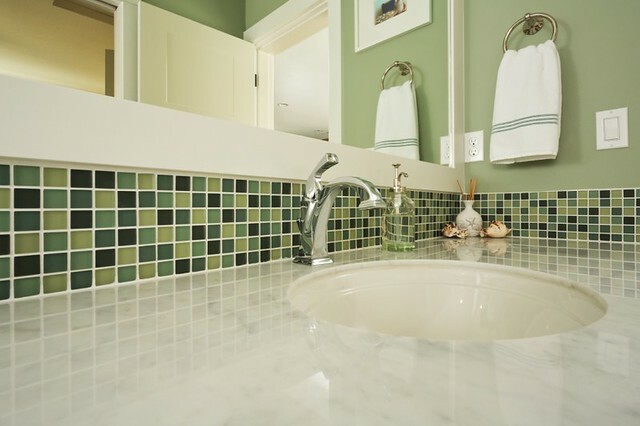 In this blog, Joel Schlessinger shares skin mistakes you could be making at the sink. The way you wash your face affects how your skin care products work, Joel Schlessinger MD explains. If you’re not cleansing correctly, oil, bacteria and other debris collect in your pores, preventing your skin care products from providing the best results. Before cleansing, wash your hands to remove any dirt and oil on your fingertips, which can transfer to your face and clog pores. If you’re wearing makeup, use a gentle makeup remover before cleansing to prevent irritation. While washing your face, use tepid water as hot water will strip skin of its natural moisture and cause irritation. With most cleansers, you’ll only need to use about a dime-size amount. Massage the product into your skin for at least 30 seconds to help remove oil and debris. After rinsing the cleanser off your skin, splash your face with cold water and pat your skin dry with a clean towel. Joel Schlessinger MD warns against cleansing with a washcloth. While many people use a washcloth to exfoliate as they cleanse, Joel Schlessinger MD says it could do more harm than good for your skin. For gentle exfoliation every time you cleanse, Joel Schlessinger MD suggests using a tool like Clarisonic Aria Skin Cleansing System along with your regular cleanser. Properly washing your hands helps prevent the spread of bacteria, says Joel Schlessinger MD. In addition to facial cleansing, it’s also important to pay attention to how you wash your hands. By practicing good hygiene, you can help prevent the spread of dangerous bacteria like MRSA. Joel Schlessinger MD suggests washing your hands with CLn products. Bleach, the main ingredient in CLn, is a natural antibacterial that eliminates germs and bacteria without the worsening of antibiotic resistance. Wet your hands with water, apply soap and scrub your hands for at least 20 seconds. Rinse your hands under clean water and dry them with a clean towel. Then, use the towel to turn off the faucet. These tips will help you stay healthy and prevent the spread of germs and bacteria. Indoor tanning involves using a tanning bed or booth that emits ultraviolet radiation in order to achieve a cosmetic tan. In recent years, the FDA and the American Academy of Dermatology have found more and more links between indoor tanning and an increased risk of serious health issues like skin cancer. In his latest SlideShare presentation, Dr. Joel Schlessinger answers frequently asked questions about the health risks of indoor tanning. There are many misconceptions about indoor tanning, says Dr. Joel Schlessinger. In Western culture, bronzed skin has come to be associated with health and vitality. However, there is nothing healthy about a tan. Tanned skin, whether it is from the sun or an indoor tanning bed, is no different than a sunburn. It means that your skin has sustained cellular damage. The tanning industry would have you believe that using tanning beds is somehow safer than spending time in the sun. In reality, a tanning bed’s ultraviolet emissions are two to three times stronger than normal sunlight and particularly effective in causing skin cancer! Dr. Joel Schlessinger explains the health issues that can arise from indoor tanning. Even those who have reported using tanning beds according to industry guidelines have experienced serious health issues. Skin cancer is the number one concern of those who are regularly exposed to natural and artificial UV radiation. Squamous cell carcinoma, the deadliest form of skin cancer, has been linked to indoor tanning, and the risk of developing melanoma increases 75% if regular tanning sessions occur before the age of 35. In addition, those who tan frequently are more likely to experience premature signs of aging such as fine lines, wrinkles and dark spots. Repeated UV radiation exposure may weaken the immune system, leaving you more susceptible to all disease. Tanning can also cause irreversible damage to the eyes, and exposure to contagious viruses and fungi often occurs due to unsanitary tanning bed surfaces. Dr. Joel Schlessinger reminds us that the only safe tan comes from topical treatments. Sunless self-tanners are topical products that allow you to build a temporary tan safely over time, and they are the only tanning solution advocated by dermatologists like Dr. Schlessinger. For natural, streak-free color, try jane iredale Tantasia Self Tanner & Bronzer. The formula can be applied daily or weekly for subtle, customizable color. TanTowel Classics are also a convenient way to get a tan, even on the go. These handy towelettes offer gentle exfoliation for smoother, more even application and healthier skin. Remember, a self-tanner never stands in for a sunscreen. You’ll still need daily SPF protection. Dr. Schlessinger recommends EltaMD UV Clear SPF 46 Broad Spectrum Sunscreen for the face and EltaMD UV Sport Water Resistant Broad Spectrum SPF 50 for the body. These gentle formulas won’t clog pores, exacerbate acne or irritate sensitive skin, and they offer superior protection against harmful UVA and UVB rays. Do you have a question about the risks of indoor tanning? Let us know in the comments section. While traveling can often be relaxing and rejuvenating, being away from your arsenal of skin care and beauty products can wreak havoc on your skin. Changes in altitude, climate and the environment can also cause trouble for your complexion. Often times, we cannot take all of our products with us and our skin suffers. 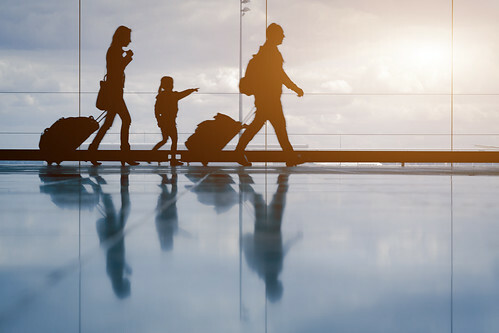 Follow these tips from dermatologist Joel Schlessinger MD on how to keep your skin healthy while you travel. Keeping skin clean and free of bacteria while you travel is key, says Joel Schlessinger MD. The surfaces of airplanes and trains can be the site of bacteria and germs. Not only is this dangerous for your health, it can also cause problems for your skin including irritation and infections. Avoid touching the surfaces more than necessary and always travel with hand sanitizer or disinfectant. It is also a good idea to bring a cleanser that is antibacterial when you travel. The CLn cleansers contain bleach, which is one of the few antibacterial ingredients that doesn’t lead to antibiotic-resistant bacteria. These cleansers are also beneficial for athletes and anyone prone to staph infections, eczema, acne or rosacea. Joel Schlessinger MD recommends travel products that keep skin hydrated and free of irritation. Traveling, especially on an airplane, often leads to dehydrated skin and irritation. Before your trip, drink plenty of water to keep your skin hydrated. To keep skin moisturized during the trip, use a travel-size product such as Obagi Hydrate Facial Moisturizer with shea butter and glycerin. To relieve dryness, itching and irritation, carry FixMySkin Healing Body Balm with 1% Hydrocortisone wherever you go. This mess-free balm heals skin to restore a soft and smooth texture. Many of your favorite brands including Obagi, NeoStrata, Murad and StriVectin carry sets of travel-size products to make packing and your journey a breeze. Which products help you maintain healthy skin while you travel? Tell us in the comments. A recent study published in Nature Neuroscience found that your skin processes touch information before sending it to the brain. Researchers from Umeå University in Sweden found that neurons in human skin perform advanced calculations that scientists previously believed only the brain could execute. The results of this new study are fascinating, says Dr. Joel Schlessinger. Researchers found that the skin actually calculates geometric data before sending signals to the brain. This allows the neurons in the sensitive skin on your fingertips to send information about how and when an object is touched, as well as details about the object’s shape. The study also found that the neurons in your fingertips perform the same type of calculations done by neurons in the cerebral cortex. Simply put, your skin is able to process what you’re touch before sending information to your brain. Dr. Joel Schlessinger says this study shows how complex skin is compared to other organs. Dermatologists are always reminding patients that it’s important to take care of your skin. As the largest organ in your body, your skin needs proper care to stay healthy. This study proves that skin does more for the body than previously thought.